Mission Statement Canaan Seminary is to educate and equip Christians to serve Russia, Ukraine and Central Asia with passion for Jesus Christ. 13 generations of students have graduated from Canaan Seminary since its foundation. (For more information click here). Approximately 250 of its graduates have served the Lord in a variety of Presbyterian Churches in Russia. 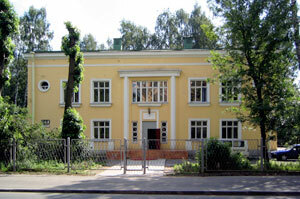 Since June of 2002 the seminary has been officially licensed as the leading section of the St.-Petersburg Humanitarian – technical Institute "Canaan". Canaan has enjoyed a long and prosperous relationship with the Canaan Church of Los Angeles, USA and Kangbukjeil Church of Seoul, Korea. This relationship has provided a wonderful environment for the training of pastors and Christian workers. These two churches have supported us continually in prayer and have provided financial support and have helped us to build a new chapel building.